The summer is often a down time for modellers, as family holidays, the gardening and BBQ’s take over. 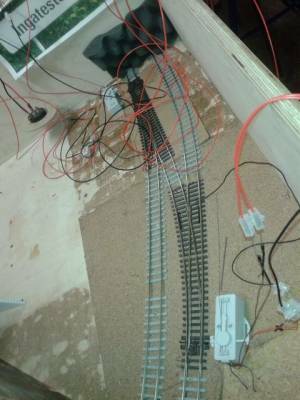 But we have been continuing with work on Ingatestone mostly on Board 6 (the big corner board that goes into the fiddle yard) with what in the photo looks like a complicated amount of wire and points is in fact a simplification. 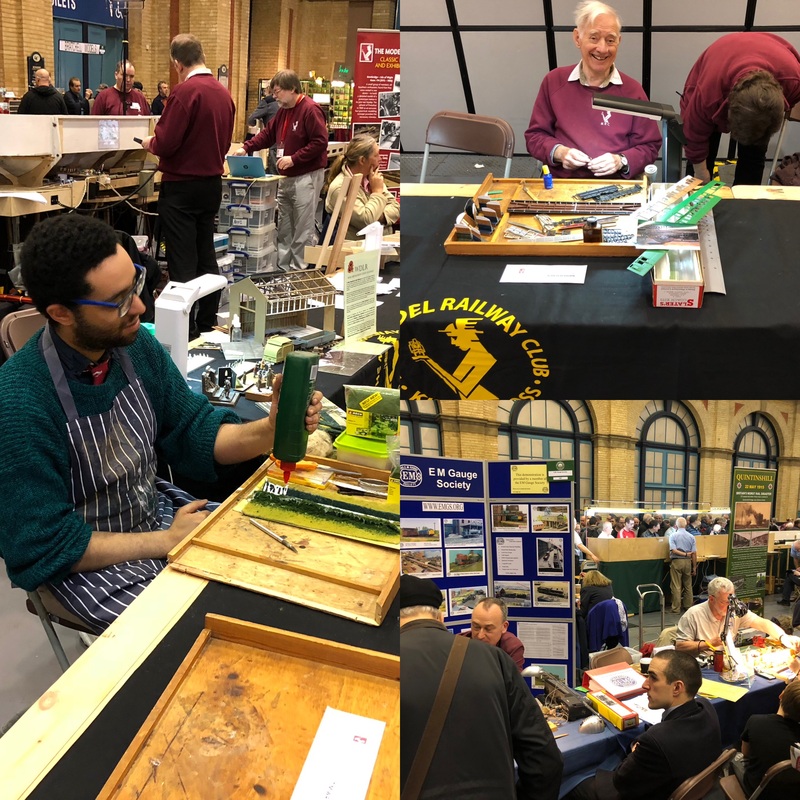 The expanded fiddle yard being built by Putnum has head shunts so we have now dispensed with ours we just need to return our trains to the (correct?) UK running practice. Hence James, Chris and Lawrence have re-laid the track and put in points and motors in tandem. So with one flick of the switch both move which means a lower risk of accidents as the ladder is either open or closed. As pictured the wires and electrics are in Beta testing ahead of proper installation. There has also been some progress on the landscape with the footprint of the alms cottages having been finished by Bob we can now fit them in to the landscape. There is now a mock up scenic divide that hides the “back stage” points and exit. 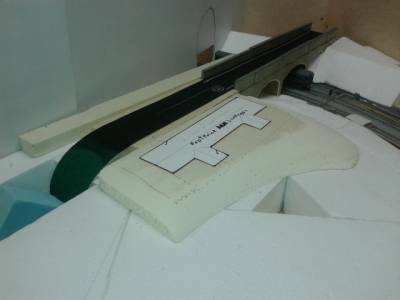 Some of the outer edges of the layout have also been lowered and slotted. Chris meanwhile has been busy on rolling stock.